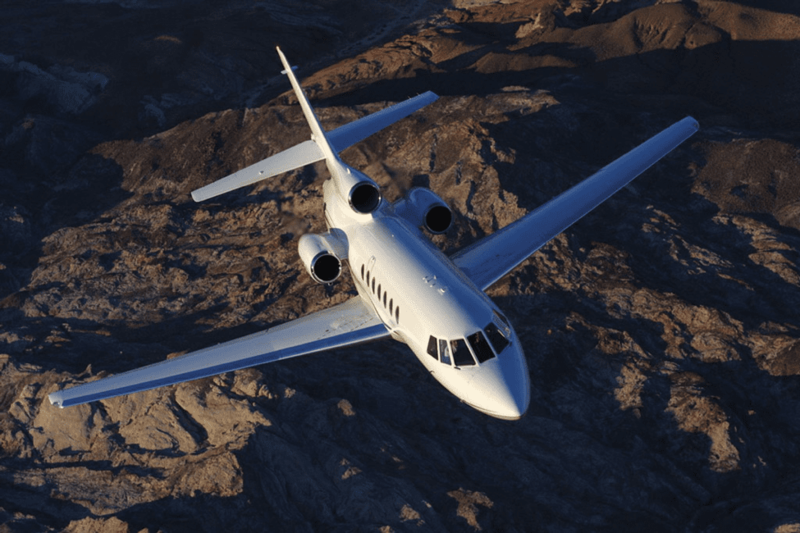 As an upgraded version of the original Falcon 50, the Falcon 50EX features successful traits of its predecessor with more advanced technology and better capabilities. This high performance super midsize private jet is recognizable by its low swept wings and three rear fuselage mounted engines. 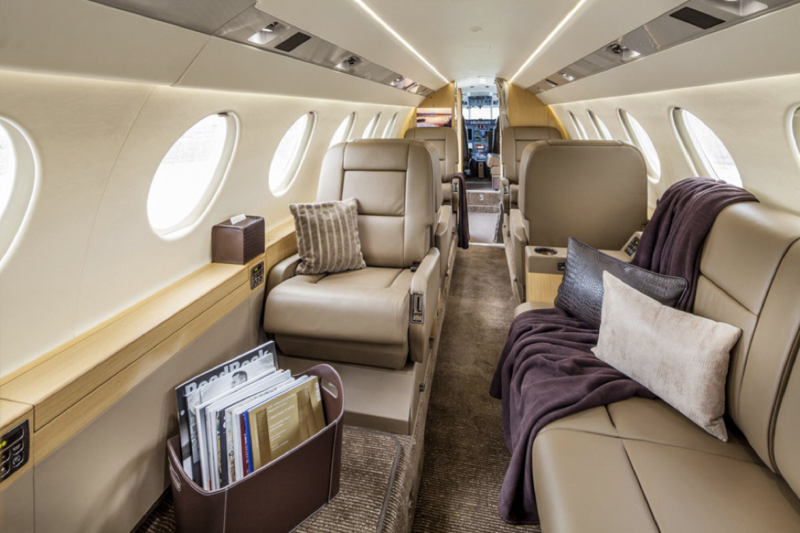 Seating up to nine passengers, the Falcon 50EX has a cabin volume of 700 cubic feet, offering enough space for a divan, three closets for extra storage, and 115 cubic feet of baggage space which can store up to 2,205 pounds of luggage. 14 windows provide natural light to the cabin and passengers can conveniently control cabin temperature to ensure optimal comfort. Fold out tables are perfect for working or dining and can easily be stowed away. Additionally, the galley has enough storage space and equipment for both hot and cold food preparation. An oven, ice chest, and coffee maker are also on board. A major alteration to the Falcon 50EX is its upgraded engines which provide increased range. Three Honeywell turbofan engines power the aircraft and provide more thrust at cruise speeds. The engines also help to reduce fuel burn compared to the previous engines. The trijet has a long range of 3,528 nautical miles and can cruise at speeds up to 480 knots at its maximum ceiling of 49,000 feet. The flight deck is equipped with the Collins Pro Line 4 avionics suite. Four screens display organized flight information for pilots. 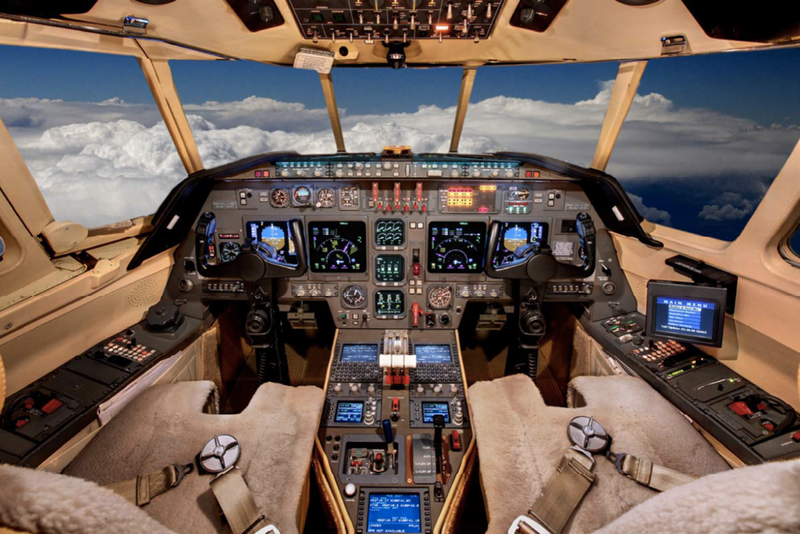 The cockpit also comes standard with a dual Pro Line II radio system, turbulence detection radar, and several other flight control and environmental awareness systems. Improved capabilities including longer range, faster speed, and fuel efficiency make the Falcon 50EX a strong competitor in the super midsize category. With updated technology and increased power performance, Dassault’s Falcon 50EX offers seamless travel on every flight.